VEGAS does not require any specialized hardware to run properly, allowing it to operate on almost any standard Windows computer across a broad range of hardware. In areas of compositing and motion graphics, Vegas provides a broad tool set including 3D track motion compositing with control over z-depth, and spatial arrangement of visual planes including plane intersection. Much of the visual effects processing in Vegas follows an audio-like paradigm. Effects can be applied at any stage of the visual signal flow — event level, track level and output level effects, much like reverb, delay and flange audio effects are applied in a digital audio system, like Pro Tools, Cubase or Sonar. Master output effects can also be controlled and manipulated over time by the use of Master Bus track automation envelopes. One major omission of Vegas is that, although it started life as an Audio Multitrack NLE, it has no MIDI capability at all. (Apart from control-desk and synchronisation.) This restricts its use for Audio production, focusing the product on the post-production, Video NLE market only. VEGAS features integration with 24p DV. It is also one of the few NLEs which can convert other formats to 24p (or any format to any other format) without any kind of a plugin or third-party application support and is the only proprietary NLE that allows for multiple instances of the application to be opened simultaneously. Clips and sequences can be copied and pasted between instances of Vegas. One instance can be rendering a sequence in the background while the user continues to edit in a different instance of Vegas in the foreground. VEGAS provides sophisticated compositing including green screen, masking, and keyframe animation. Nesting allows a prior project to be included in another project modularizing the editing process so that an array of tracks and edits become one track for further editing. Any changes to the previous project become reflected in the later project. Nesting is especially helpful in large or complex or special effects projects as the final rendering suffers no generation loss. 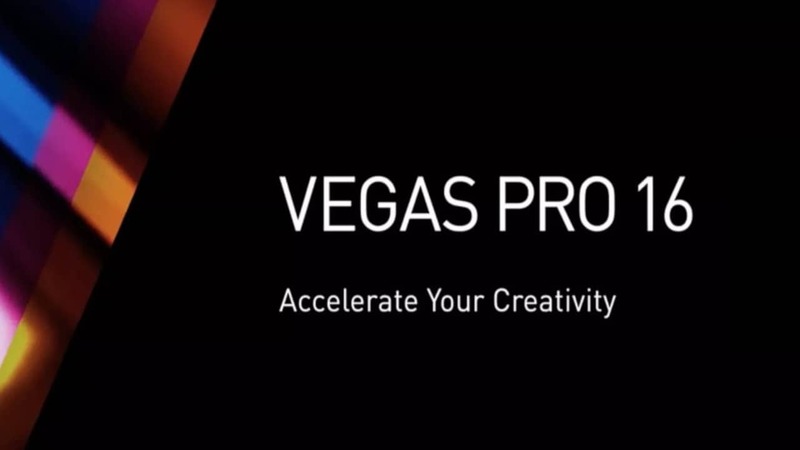 Unlike other editors, MAGIX VEGAS Pro supports scripting technology which provides task automation, simplified workflow, and greater efficiency and productivity. Free and paid pre-written scripts are available from the VEGAS community on the web.